Welcome back to IRL, a new column where we dissect, defend and gripe about the gadgets we're using in real life. This week, Dante gets a firesale TouchPad, Dana ditches her Shuffle for a Sansa Clip Zip, Tim's on a boat with the DeLorme PN-60 and Darren explains why, exactly, he's still clinging to his Nexus One. Blast away, but I'm still using an AT&T Nexus One. Why? It's the only smartphone that'll tether on AT&T (my wife has an iPhone, hence the need for a family plan) without any additional charges -- it's unlocked, remember? I also have one of those grandfathered unlimited plans, and given that my entire life is online... well, it's handy to have around. Sure, far more sophisticated handsets have shipped over the past year, but the N1 still manages to hold its own, and hey, I got Froyo before most everyone else, too. I'm also a major fan of side-loading, and this here phone has never given me one ounce of trouble on that front. Unfortunately, one of the two main reasons I stick with this thing from a software standpoint is starting to fail me. 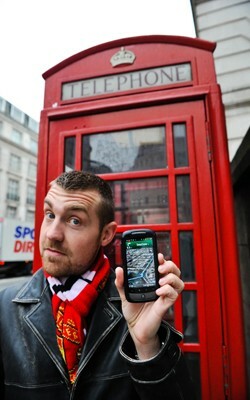 Google Maps Navigation is truly a godsend, but only when it works. For whatever reason, acquiring a GPS lock has become increasingly difficult, and sometimes even a hard reboot won't hasten the process. I'm beginning to wonder if it's just my N1, or this class of phone in general. Still, that one program has revolutionized how I live, and the unlocked nature of the phone has enabled me to pop quite a few international SIMs into it in order to stay on track even whilst venturing overseas. The GPS reliability ain't what it used to be, but it's still my travel phone of choice -- that rugged Otterbox case that fits around it doesn't hurt to have, either. Particularly when you're romping around in places like this. For a good year and a half, the third-generation iPod Shuffle was my most valuable gadget, eclipsed only by my OG Droid. You see, I'm a long-distance runner, a marathoner, and those pinchable, inline controls meant I could skip songs without feeling around for a button or taking my eyes off the road. 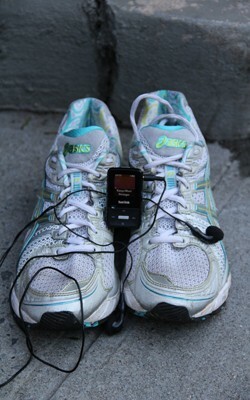 It was lighter, less cumbersome than the Nano, the other iPod aimed, in part, at athletes like me. I used that thing until the battery gave out and rain ruined several pairs of earbuds. Since then, of course, Apple's done away with the Shuffle's included inline controls, and supplementing it with Apple's sort of-pricey headphones isn't ideal. Meanwhile, the Nano has gotten a touchscreen -- pretty much the last thing I want to operate with sweaty fingers while running. I'd love for Apple to reverse all that when it unveils new models this fall, but I don't expect it to. So for the first time in years, I'm using something other than an iPod. SanDisk sent me the Clip Zip, and I've been using it as my primary music player for a month. We didn't get off to a great start. The player's software ships on a disc -- not a full-sized one, mind you, but the kind of miniature disc that simply won't play nice with my laptop's slot-loading optical drive. I ended up transferring my files the old-fashioned way -- i.e., dragging and dropping. Now that my music's living on there (minus all the one-hit wonders I purchased using iTunes gift cards), I appreciate it more. When I attach it to the waistband of my running shorts, the plastic clip doesn't leave scratches on my skin, as the third-generation Shuffle did. The bundled headphones actually stay in my ears while I'm running, and the foam ear tips feel comfortable and somehow never feel too disgusting after I've drenched them in sweat. The battery is robust enough that I could take it on a two-hour run without having fully charged it, and still have juice left over at the end. The bass notes are low enough, but let's not pretend this is a player for audiophiles. Scrolling through tracks one by one using the tiny buttons can be tedious, but if this were a Shuffle, choosing the next song wouldn't even be an option. I can even forgive the homely design; I just wish that when I pressed the lock button up top, the volume rocker would still work. It's also annoying that you actually have to press the unlock button twice to gain control of the device. For what it is -- a cheap $50 music player -- I kind of like it, and I imagine I'd sooner take it on a run than Sony's W series Walkman, which would compel me to tap my ear every time I wanted to skip a track. But would I rather have an iPod? I don't know yet. Let's see what Apple has up its sleeve -- and in the meantime, I need to decide if I loathe iTunes so much that I'd be willing to upgrade my library to DRM-free just to get out. Man, I hated this thing when I first got it. Really, really hated it. How could something manufactured in this day and age costing over $300 be bigger and chunkier than a $20 walkie-talkie and have a user interface that makes Windows Mobile 6.0 look refreshing and new? 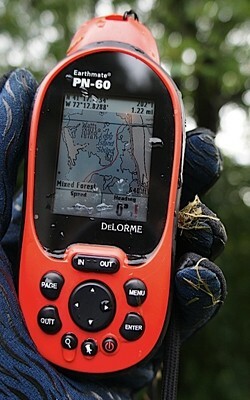 Even the (PC-only) software it ships with (DeLorme Topo USA 9.0, basically required to load maps on the thing) is about as user-unfriendly as it gets, its interface paling in comparison to the far less ire-inducing Google Earth. Stick with it, noble outdoorsmen and women, and ye shall be rewarded. The software may be painful, but through it you have access to exactly one worlds worth of charts, maps, satellite imagery and topographical data that can be selectively downloaded to the device -- over a chunky and unfortunately proprietary USB cable. Get your maps synced, spend a few hours deciphering the user interface and you'll find yourself becoming strangely endeared to this rubberized brick of a gadget. The screen is small, though it's bright and sips power from the dual AA batteries. It isn't touch-friendly, but the big, chunky buttons are incredibly glove-friendly and the whole thing is, indeed, waterproof. (I left it bobbing off the side of my kayak for a bit, just to be sure.) I'm still not in love with it, but the first time I pulled up a NOAA map and combined it with the integrated tidal charts to plot a course through some shallow wetlands, well, I started to feel a little attached to the stumpy thing. Judging from the 15,000-plus comments on our TouchPad liquidation post, I'm guessing a bunch of you spent the evening of August 20th the same way I did. Truth be told, I'd originally set out for the $49 unlocked (!) Pre 2, not the elusive $99 TouchPad. Dismayed at finding both phone and 16GB slate already out of stock, I pulled the trigger on the 32GB variant -- I figured I'd at least finally own a webOS device and the final one in the tragic Palm saga, at that. So what's the verdict after owning a TouchPad for a week? In a word: torn. It's a mixed bag, but let's begin with what I like. Apparently I'm in the minority, but I can't say I'm offended by hardware others deem portly and cheap. Yeah, it's plastic and isn't as thin as an iPad 2 or Galaxy Tab 10.1 but that doesn't mean it's unworkable. As for software, I love webOS' aesthetic, its multitasking cards and Synergy. At first glance, this is just how a mobile operating system should work, but dig a little deeper and it all starts to fall apart. It doesn't take long, but the first knock comes after you bore with the pre-installed apps and venture out into the App Catalog. The harsh reality is that in any given category there aren't more than a handful of options. Frustrated, you end up downloading a highly ranked "TouchPad-compatible" Pre app, only to find it runs in a miniaturized box that won't scale. Annoying. And by now, after a few hours with the device, you've undoubtedly run into the first of many maddening pauses and errant slowdowns. They'll seemingly occur at random, dwindling your confidence while you continuously peck to no avail. But perhaps the biggest letdowns are the things you never realized you took for granted with other tablets. With iOS, for instance, if one misses a text box or a button ever so slightly, the OS still responds with the intended effect. Not so on the TouchPad. You'll also miss how iOS locks in scrolling in one direction, ignoring, say, horizontal input when it realizes you just want to scroll vertically. It's that kind of polish and attention to detail that's always been missing from webOS. Perhaps it won't matter to those of you smitten with the bargain of the century, but it's something I lament. 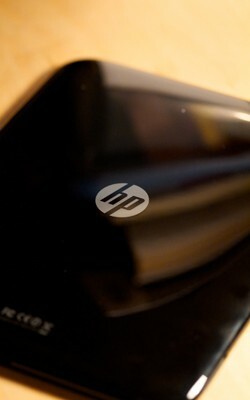 Much like the fanboy that wept at the death of Cobalt, I'll always wonder what webOS could have been had Palm HP followed through.